1886년 로베트(Robert.A.P) 신부가 경상도 지역에 천주교를 전파하다가 1897년에 현재의 계산동 성당 자리에 있던 초가집를 임시 성당으로 사용하였다. 1899년에 한식 목조 십자형의 성당을 지었으나, 다음 해에 화재로 불 타 1902년에 현재의 성당을 짓게 되었다. 설계는 로베트 신부가 하고 중국인이 공사를 맡았다고 한다. 당시 대구에서는 처음 세워진 서양식 건물로, 입구에 두 개의 종각에 우뚝 솟아 ‘뾰족집’이라는 별명을 얻었다. 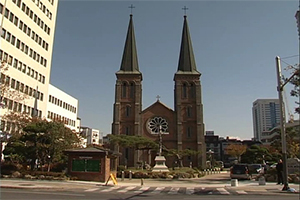 성당건축은 고딕양식이 가미된 로마네스크 양식이며, 화강석 기단 위에 붉은 벽돌을 쌓고 검은 벽돌로 고딕적인 장식을 하였다. 대구 지방에서 유일한 1900년대 성당 건축물로서 매우 중요한 가치를 지니고 있다. 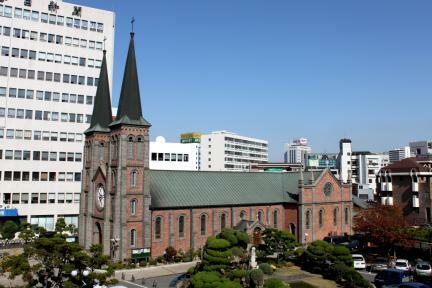 During his missionary work throughout the Gyeongsang-do area commencing in 1886, Fr. A. P. Robert used a thatched house as a temporary church from 1897. 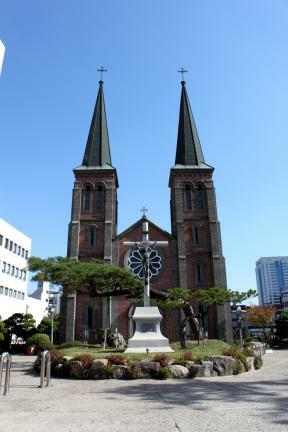 It was located at the site of the present cathedral of Gyesan-dong. 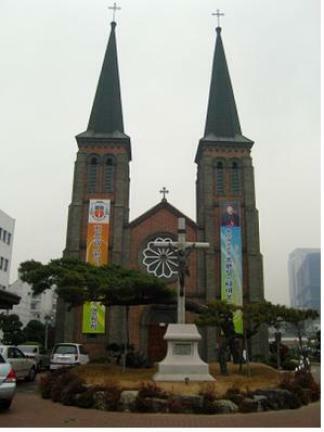 In 1899 a Korean style church was built of wood with shape into a cross, but it was burnt down the next year so the new church building was built in 1902 and it remains now. It was said that Fr. Robert himself designed it, and that a Chinese man was in charge of the construction. 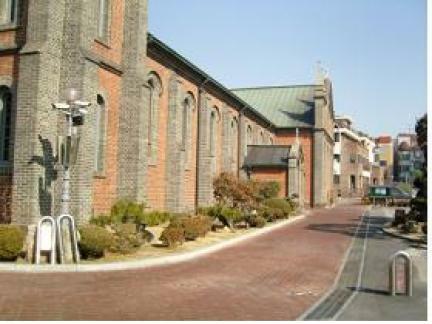 As the first western style building in Daegu, it was also called as the "Steepled House" because of the two bell towers above the entrance. 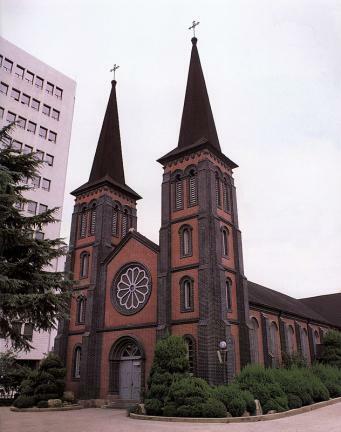 It was built of red brick on a granite base platform in the Romanesque style with a Gothic touch added by the Gothic decoration with black bricks. 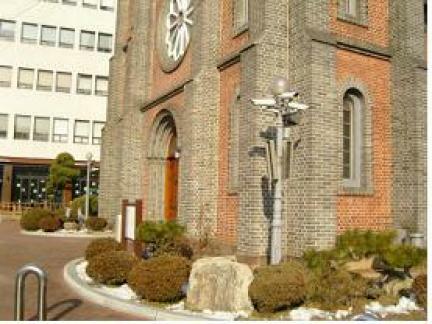 This cathedral retains a very important value as the only dedicated church built in the 1900’s in Daegu.